If you have a passion for writing and a desire to communicate knowledge to others, consider a career as a technical writer. With many great career options and potential employers such as government agencies, scientific research organizations, and software developers, this is an exciting career with an interesting and diverse field of knowledge to pull from. 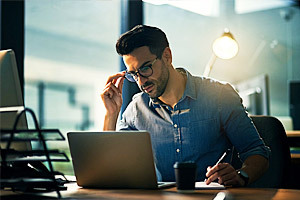 To become a technical writer, employers may seek individuals with a bachelor’s degree in English, communications, information technology, journalism, or technical writing. Taking additional learning courses can also improve your skill set and increase the likelihood of getting hired. Individuals who have experience as a technical writer may also do well in other related fields such as editing and copywriting. People looking to enter the field of technical writing or progress their career further can benefit from consulting the job placement professionals at Winters Technical Staffing, a leading placement agency in Toronto for over 40 years. These specialists can provide the guidance and support that will assist individuals who are looking for work in directing their efforts in a more valuable manner, with the overall goal of increasing the probability of landing a position. The consultants at Winters Technical Staffing have strong relationships with employers and hiring managers throughout the manufacturing industry and have had great success recruiting and placing qualified candidates in suitable roles. Please visit our Industry Specialties page for more information on the specialization of Winters Technical Staffing, including the recruitment and placement of technical writers. Are you looking to start or advance in your career as a technical writer? The guidance and support provided by the placement specialists at Winters Technical Staffing can help. Contact the consultants at Winters Technical Staffing today at 647-556-2408 to request a complimentary consultation. Call 416-495-7422 or Contact Us and we will be pleased to discuss your staffing needs.